The instep is knit on half of the total number of stitches, from the side edge of the heel down to the toe in the center of the leg piece. 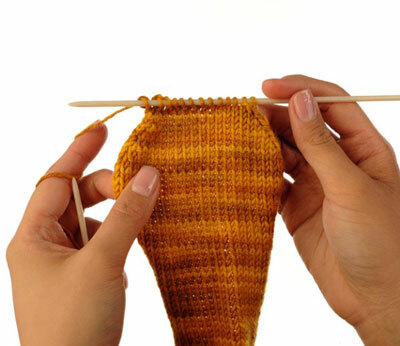 You work the top of the toe at the end of the instep, which you seam with the bottom of the toe after you finish knitting. 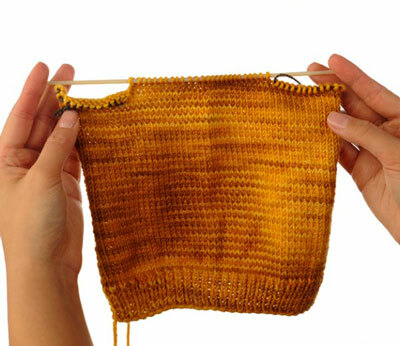 Work across the leg piece until 25% (16 sts of a 64-st sock) of the stitches remain unworked. 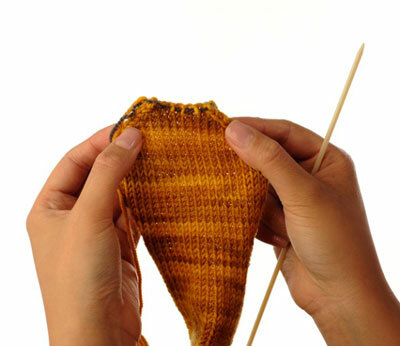 Place the remaining 25% of the stitches (16 sts) on a holder to work later for the heel. Turn the work and continue back on a total of 50% of the stitches (32 sts of a 64-st sock). 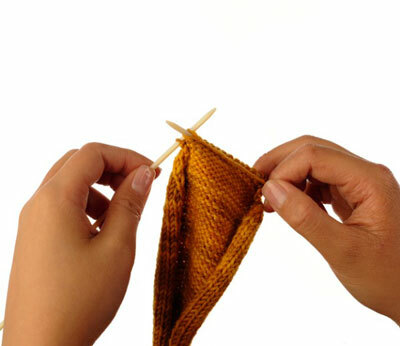 Place the remaining 25% of the stitches on a holder to work later for the heel. Work back and forth on these stitches until the instep measures 2 inches less than the total foot length, measured from the split point at the end of the leg. Row 1 (RS): K1, ssk, k to last 3 sts, k2tog, k1. 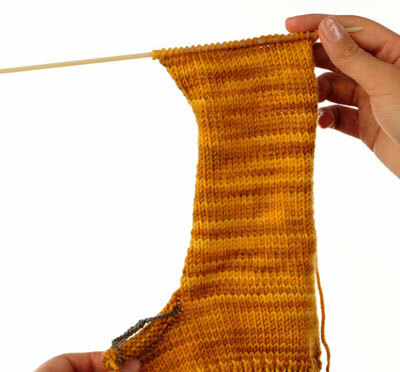 Repeat rows 1 and 2 until you decrease the number of stitches in the instep by 50%. Row 3 (RS): K1, ssk, k to last 3 sts, k2tog, k11. Row 4 (WS): P1, p2tog, p to last 3 sts, p2tog tbl, p1. Repeat rows 3 and 4 until 1.5 inches’ worth of stitches remain, between 8 and 14 stitches. 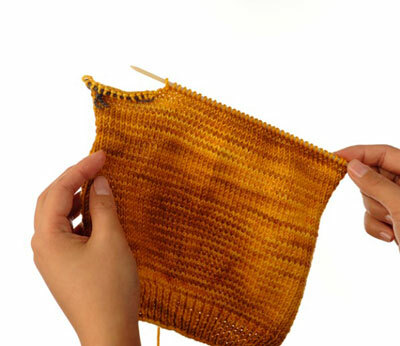 Place these stitches on a stitch holder or waste yarn.